Despite the recent identification of numerous somatic, driving mutations in Acute Myeloid Leukemia (AML), these cancers remain very difficult to treat and have a poor prognosis and high relapse rate. Ineffectiveness of pharmacologic strategies in treating AML is primarily due to their inability to effectively target the cells responsible for disease maintenance (i.e. stem cells), which have recently been shown as the hematopoietic stem cells (HSCs) (Pang et al., 2013). While analysis of the gene expression patterns in AML HSCs or other cell types has yielded important insights into disease biology, the recent demonstration (by our group and others) of the mutational heterogeneity in AML and other malignancies (Ding et al., 2012; Bejar et al., 2011; Meyer et al., 2013, Walter et al., 2012) has demonstrated that pooled cells are insufficient for understanding the unique biology or therapeutic responses of individual AML clones – thus hiding a key aspect of disease progression. We will examine tumor evolution with our recently optimized single-cell RNA-sequencing protocols and cell-purification techniques to investigate the genetic and functional heterogeneity of AML HSCs in a carefully selected group of AML patients before, during, and after therapy. This will reveal the precise, cell-by-cell molecular portrait of clonal evolution that drives chemoresistance in AML and help improve future therapies by pinpointing the adaptive, dangerous genetic and transcriptional changes of these tumors. After graduating with two bachelors degrees (Genetics and Biochemistry) from the University of Wisconsin-Madison, Dr Mason performed his graduate thesis in Kevin White’s Laboratory at Yale University, building custom gene expression microarrays and developing bioinformatics tools. He then did two simultaneous post-doctoral fellowships at Yale: (1) Matthew State’s Laboratory on Neurogenetics at Yale Medical School, focusing on genetic mutations and genetic variations that lead to neuro-psychiatric disorders and brain malformations, and (2) a Fellow of Genomics, Ethics, and Law at Yale Law School’s Information Society Project (ISP), where Dr Mason worked on gene patents, which eventually led to his work as an expert witness in the Supreme Court in Myriad v. AMP in 2013. 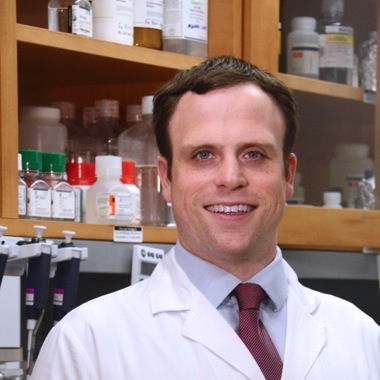 Christopher Mason is now an Assistant Professor of Computational Genomics and Neuroscience in the department of Physiology and Biophysics, the Feil Family Brain and Mind Research Institute, and the Institute for Computational Biomedicine at Weill Cornell Medical College (WCMC) in New York City, NY. Dr Mason develops and applies advanced techniques in genomics technology and integrative bioinformatics to discern the functional elements of the human genome and how they are disturbed in cancer and neuro-development, as well as how they respond to severe environmental pressures such as space travel.